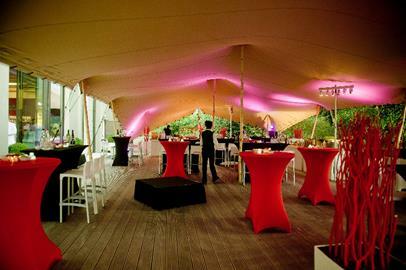 Visitor Centre 'De Lambiek' is the perfect venue for all sorts of events. The Visitor Centre can be rented by associations, companies or individuals for both private and public events. The Visitor Centre is equipped with a modern infrastructure. For lectures, product demonstrations and congresses, there is a spacious multimedia room that seats up to 110 guests. This room is equipped with modern multimedia equipment. The tasting room can accommodate up to 150 guests. The tasting room leads onto our cosy terrace, which can also be used if the weather permits. When you rent the Visitor Centre, you also have other parts of the Visitor Centre at your disposal, which can be used for a variety of purposes. The Visitor Centre has a very large parking area and has obtained an A+ accessibility label, which means that is comfortably accessible to visitors with disabilities. There is WiFi coverage across the entire complex. Thanks to its central location in Flanders, Visitor Centre 'De Lambiek' is easily accessible from all corners of the country. The proximity of the capital is also a valuable asset.